In last week’s post, we explored the specific parts of the Caregiver’s Journey–the beginning, middle and end stages–what can be expected at each stage and ways to cope. 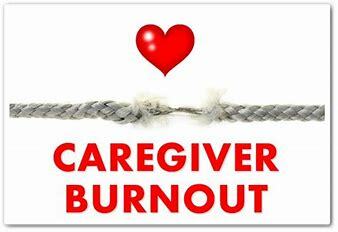 Today, we’ll specifically look at the burnout that can be experienced by some caregivers. What are the risk factors? How do you know if you’re feeling burnout? What can you do to prevent burnout? This is the second in a three-part series on care-giving. The information in this post is a partial summation of information that was presented by Dr. Virginia Wesson, Psychiatrist and Dr. Rhonda Feldman, Psychologist. Both Drs. Wesson and Feldman see patients, and their families, at The Cyril & Dorothy, Joel & Jill Reitman Centre for Alzheimer’s Support and Training. Dorothy and Marion (both aged 74) have been together for 40 years. Ten years ago, when they retired from their careers (Marion was a teacher, Dorothy an operating room nurse) they had plans to travel. Shortly after Marion left her job, she developed a cough that wouldn’t go away. She lived with it, but became concerned when she started to experience a tightness in her chest and shortness of breath. Rather than visiting the doctor, Marion decided that maybe a change of climate would be helpful, and the couple planned a trip to Arizona to visit friends. “Perhaps the heat and rest would improve Marion’s symptoms”, Marion thought. Unfortunately, there was no change in her health. In fact, once out of her home environment, Marion became easily tired and was unable to join Dorothy and their friends on day trips. When the pair returned home, Marion agreed to seek medical advice. She was diagnosed with the Chronic Obstructive Pulmonary Disease (COPD)–a chronic inflammatory lung disease that causes obstructed airflow from the lungs. Marion and Dorothy were shocked by the diagnosis. Both had been smokers at various times in their lives, but had quit ten years earlier. However, one of the causes of COPD is smoking and the habit had left its mark on Marion’s lungs. 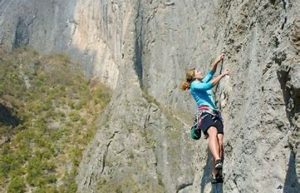 At the beginning, after the shock wore off, the couple found ways to cope with the changes in Marion’s health and her decreased energy level. Long-distance travel was out of the question, and with Marion’s new medication, they were able to make the most of day and weekend trips. Because they were both retired, Dorothy found it easy to take over some of Marion’s tasks. The women were able to cope in this first stage for a long time, adjusting as Marion’s health slowly deteriorated. As explored in last week’s post, burnout often starts to appear during the middle stage of the care-giving journey. In the beginning, the illness is a consideration in lifestyle decisions, but not a main component. However, as the illness becomes more severe, it becomes a major factor in how the person who is ill and their caregiver function on a daily basis. level of quality support (informal, formal and professional). The more support, the less risk for burnout. Based on what we know about Marion and Dorothy, we can assume that Dorothy may not be at a great risk for burnout, if she is careful. When Marion was first diagnosed, both women did a lot of research into COPD. Because of Dorothy’s connections in the health care field, she was able to put supports in place well in advance of them being needed. The couple had been in a loving, stable relationship for a number of years and were committed to supporting each other through the illness journey. However, not every caregiver has the resources that Dorothy was able to access. What are the symptoms of burnout? You have developed a new health problem. If we don’t practice self-care, taking care of a loved one can stress our immune system, causing our own health to suffer. Depression. At times we can feel that the situation is hopeless–especially if we know that our ‘person’ isn’t going to get better. Feelings of being overwhelmed, overtired and under appreciated can all lead to depression. Anger. While anger is a normal response to life not turning out as we had wished, excessive anger is a warning sign of burnout. Substance Use. Care-giving is difficult and we all have our own ways of coping or self-soothing. However, using substances as a way to make yourself feel better is not a healthy way of self-care. Social Isolation. Social isolation can be a vicious circle. We may have to stay home all the time in order to be there for our ‘person’–especially if there are no supports in place to give us a break. 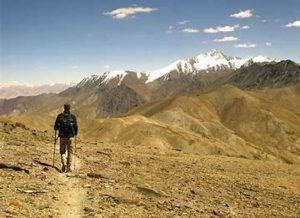 However, the more isolated we become, especially if depression sets in, the less time we want to spend out in the world. Loss of Relationships. This is directly related to the degree of social isolation you may be experiencing. No interest in self-care. If you are not eating well, taking time to exercise or spend some time doing activities that you enjoy, burnout may be the reason. Through forethought, planning, good communication with Marion and lots of support, Dorothy was able to avoid experiencing serious burnout. Of course there were days or weeks when she felt overwhelmed, but because she felt that the care she was providing for Marion was important, she was able to get through the rough patches. By this time, Marion was housebound due to exhaustion. Her medication wasn’t as effective as before and for various health reasons she wasn’t a candidate for surgery that is sometimes an option for COPD patients. Due to her lack of energy, Marion spent a lot of her day sleeping. 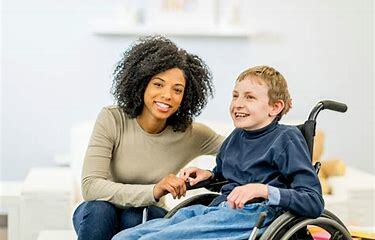 If someone had asked Dorothy how she was doing (we don’t often ask the caregiver, but instead focus on the person who is ill), she would have responded that she is able to handle the medical piece because of her nursing training, and the house chores as they can afford to hire help when needed. Her biggest heartache is that she misses Marion (the ‘old’ Marion). She misses having someone to go out with and share experiences with. Marion isn’t psychically absent, but she sleeps most of the time, so isn’t always available. Dorothy wonders when she stopped being Marion’s partner and became her full-time nurse. This sense of loss is common for caregivers. Even if they have support for the practical things, the grief experienced around this is often lonely and hard to explain to others. What’s a Caregiver To Do? Does the above list describing burnout sound like you? Can you relate|? If so, there are things that you can do. Ask for help from other family members, friends, medical supports, etc. As humans we often feel that we can do it all by ourselves, or that no one else is able to take care of our ‘person’ as well as we can…and we can’t and other’s can (though it may look different from how we would take care of them). Do yourself and them a favour and get some support. Check into support groups for the type of illness/condition that your loved has. 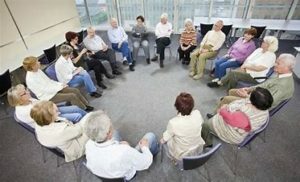 Many groups, such as the Alzheimer’s Society and Hopespring Cancer Support Centre offer support groups for patients and their caregivers. Your medical supports may be able to provide advice on where to look or check out the web. 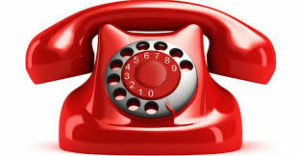 If you are feeling housebound due to your care-giving role, and are computer savvy, there are on-line support groups available. Let your doctor know that you are struggling–especially if you are feeling depressed, using substances or other unhealthy means as a way to cope. There are things they can do to help by suggesting medication or referrals to other professionals. No matter where you are on the care-giving journey, counselling is always an option as a tool to help you cope with negative emotions (such as anger) that can come up, inappropriate ways of coping, feeling socially isolated. Having an impartial third party to talk to about what is going on, can release some of the stress and pressure that you feel. Marion and Dorothy are still living in their home. Marion’s health continues to decline, and Dorothy has come to terms with her ‘new’ relationship with her. At Dorothy’s request, family members have started taking on a more active role in Marion’s care. More and more household duties are being done by paid help or family members. Dorothy is still grieving the loss of the ‘old Marion’ and recognizes that this is reality. She is thankful that she is able to provide so much care for her partner. 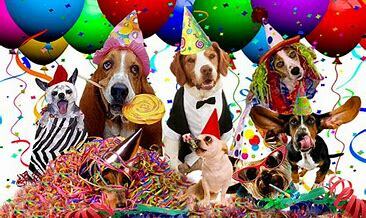 And now, let’s lighten the mood. For those of us who are trying to figure out summer plans for our children, here’s a classic camp song from Alan Sherman…Enjoy! I recently attended a one-day conference (organized by Hospice Waterloo Region) for caregivers and professionals who support them. As I sat with the other participants and heard the stories of people who are actively being a ‘care partner’ for a loved one(s), I was struck by the love and dedication that helped them to make meaning of the difficult role that they had agreed to take on. I was also aware of the feelings of exhaustion, frustration, fear, and loneliness that many bravely shared as they told their stories. This is the first in a three-part series on Care-giving. According to data presented that day, there are 3.3 Million caregivers in Ontario. Of those, 500,000 of them are ‘young’ caregivers (falling between the ages of 6 and 25). If as a society we were asked to pay for the caregiving services provided free-of-charge by loved ones, the bill would be in the Billions of dollars. Wow! Based on the numbers, if we are not personally affected by the need to take care of a family member or friend, then we know someone who is–a friend, co-worker, other family member…the list goes on. As people in our circle, how can we support them as they support others? I suggest that a first step is to understand the path that they are walking. Dr. Wesson believes that there are three stages to the caregiving process: the early stage, the middle stage and the late stage. When a partner, spouse, close friend or family member has been diagnosed with a debilitating illness we often experience shock and grief. While we may have suspicions that our ‘person’ has been struggling, having it confirmed can still be devastating. We don’t know what the future really looks like, and we may feel that we are starting an ‘endless’ journey. If we are the primary support, we can be overloaded with information by medical staff or our own research. On the other hand, we may feel that we are being provided with little information and not sure where to turn. Once the initial emotions subside, and if the disease in question is progressing slowly, the illness may intrude in our life, but we are able to carry on with a sense of normality. 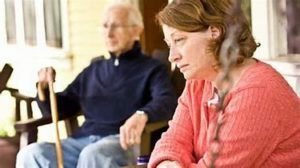 You may be providing more emotional support vs. physical support for your loved one, taking on more of the hands-on chores that may now be more difficult and becoming a ‘manager’ of the care required by your loved one (i.e. managing medical appointments). It is during the early stage that you can start to put supports in place for the future. Will there be physical changes that need to be made to your surroundings? Are you aware of community organizations that can be called upon when needed? How may other family members or friends can be asked for help? What do you need to take care of yourself–such as self-care activities? This is the time for planning. By the time you have reached the middle stage, you have realized that your loved one isn’t going to get better. Their illness is a constant consideration as you plan your day–both personally and professionally. Some people may have decided to leave their jobs, or scale back their hours of work. Many may be coping with the financial stresses brought on by the illness–either through loss of income or rising expenses. 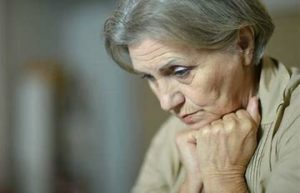 Feelings of loneliness and overwhelm can be common at this stage–especially as your world is shrinking due to care-giving responsibilities that never seem to end. Be realistic about what you are able to do. Don’t be afraid to ask for help. If you have not done so already, now is the time to call on your support system for help…friends, family members, outside organizations. To the best of your ability, keep up with your self-care practices–eating well, exercise, and any activities that help you to cope. 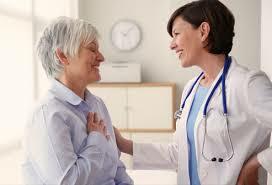 Be aware of the abilities of your loved one, due to their illness. It may be less frustrating when we understand that their actions are due to physical challenges vs. negativity. Try to find any positive aspects or meaning in the care-giving role. By this stage, caregivers may be feeling that “I can’t do this anymore”. If they have had little or no support, they may be suffering from burnout. There may be feelings of both internal and external conflict as the need to make decisions start to arise. Internally, there’s the struggle between the guilt you could be feeling as it becomes more difficult to take care of your loved one in their home and the possibility of them moving into a place with full-time paid staff; and the recognition that continuing the current way of doing things is becoming impossible. Family conflict may come into play if family members are not agreed on next steps, or resentments have come out regarding the sharing of care-giving duties. As above, be realistic about what you can do…physically, mentally and emotionally. Look to your medical supports for information about what can be expected during the late stage of illness and how much care will your loved one require. Access mental health support either privately or through community organizations that specialize in your loved one’s illness. Organizations such as Cancer Support Centres, Alzheimer Society, etc. have care-giver support groups. While it may seem like it, as a care-giver you are not alone…no matter where you are on the journey. Next week, we’ll look at care-giver burnout and further ways to cope. And now…a TED talk on the positive effects of exercise on the brain…Enjoy! Often the best information comes from people who have personal experience. A friend shared the following First Person (a daily personal piece submitted by readers) article that appeared in the April 20, 2018 edition of The Globe and Mail. I think that the author, Alana Somerville’s wisdom speaks for itself. “A new, healthy body would be fantastic,” she answered. I felt like an idiot. Of course that was what she wanted. But I couldn’t give it to her, so why on earth had I asked that? Often, when we know someone who’s been diagnosed with cancer, we don’t have any idea what to say, or we say or do the wrong things. I should have known better. When I was diagnosed with cancer at the age of 33, I had a hard time dealing with my diagnosis. It took some time, but eventually I figured out that I had to move forward and think positively. However, it was really difficult to keep up my spirits when some of the people around me said and did things that I still can’t quite believe. When that happened, I couldn’t help but think, “Well, you’re not me, so stop right there.” Don’t try to sugar-coat this, and don’t try to find the silver lining. Please, just let me know that you can feel my pain. My Dad was someone who didn’t know how to handle my diagnosis. When he showed up at my door upset and crying, it only made me think, “Maybe this is all worse than I realize?” Sure, if he hadn’t been upset, that would have been worse, but it also meant that my job shifted from caring for myself to consoling him. At a time when he should have been my rock, I was forced to be his. When you’re dealing with this kind of internal struggle – to stay positive while it feels like your world is falling apart – you’d be amazed at how eye contact and non-verbal gestures can affect you. You already feel self-conscious, and the stares from complete strangers don’t help. When I was bald from chemotherapy – and I mean no hair, no eyebrows, no eyelashes – people gave me sympathetic looks when I went to the grocery store. I don’t need your sad eyes, I thought, because I am not going to die. What did help? Some of my friends organized a dinner club and made meals that they would drop off at my house every other day. They wouldn’t stay to visit, unless I wanted them to. They put the dinners in disposable containers, which meant I didn’t have the added burden of having to wash and return their containers. 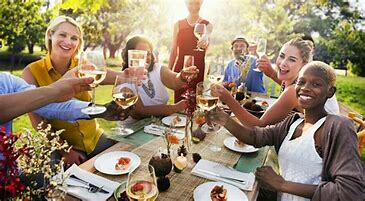 I always connected with my friends to thank them, but they were respectful of the fact that I wasn’t always up for conversations. That my friends didn’t have any expectations was so freeing for me. They simply gave. That felt so precious at a time when I simply didn’t have it in me to give in return. It was the gift of understanding and I still can’t believe how precious that was. Other friends who felt too uncomfortable with the situation or with seeing me sick simply dropped off gifts at my door, things such as sweaters, books and bathrobes. To me, these incredibly kind gestures meant that although they didn’t really want to talk about things, I knew they were thinking of me. What also helped immensely were words of encouragement, rather than questions. 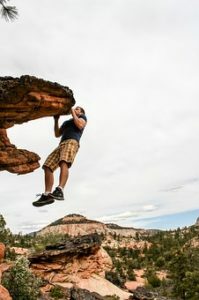 Comments such as, “You got this,” “You are the strongest person I know,” “The world needs you,” as opposed to just saying, “I’m sure it will be fine.” When I heard that last one, I couldn’t help but think, “How do you know?” whereas the former statements weren’t anything I could argue with. I also appreciated that these weren’t open-ended questions, asking me what they could do to help. The last thing I could do was to think of ways for people to help me. This whole experience with cancer, and writing my memoir Holding on to Normal, has been an incredible learning journey. I am still learning. I still question what to say when a friend or loved one has been diagnosed with cancer. 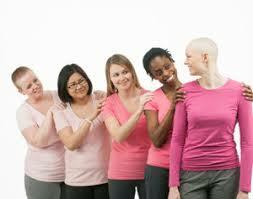 When in doubt, I still run things by friends and comrades who are breast-cancer survivors. When someone you love has been diagnosed with cancer, remember that words of hope are better than no words at all. Don’t be a stranger and don’t feel awkward. Try to remember that this isn’t about you. Just treat them normally, the way you always have and like you always will. That in itself will give people hope, which is the biggest gift you can give. Alana Somerville lives in Fort Erie, Ont. Receiving a cancer diagnosis is a life-changing event. We may feel that the ground has fallen away underneath us. Fear, confusion, anger and a host of other emotions could become our companions. Perhaps, there is a sense of relief that “at least I know what is wrong”. If the person with the new diagnosis is a loved one, there may be a desire to be helpful, while at the same time, not knowing what to do. In either case, hearing that you or a loved one has cancer, can lead to feelings of loss of control. Recommended to me as a clinical resource by HopeSpring Cancer Support Centre, Taking Charge of Cancer: What You Need to Know to Get the Best Treatment by David Palma, MD, PhD is a wonderful new book (published in 2017) to help patients and their loved ones take back some of the control lost with the arrival of the diagnosis. Dr. Palma is a radiation oncologist and cancer researcher–focusing on the treatment of lung, head and neck, and metastatic cancers. Taking part in medical treatment can feel like entering a new world. The environment is different and the language is strange. 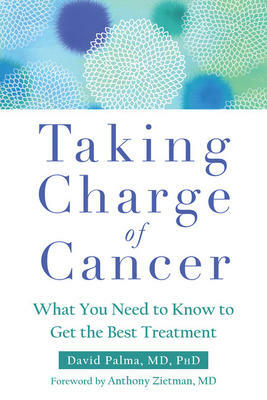 Taking Charge of Cancer is structured to serve as a “how to” manual, as it follows the cancer journey for most patients. What does this road map look like? Dr. Palma has divided his book into three parts: Chapter 2-4, 5-8 and the second half of the book (Chapters 9-15). 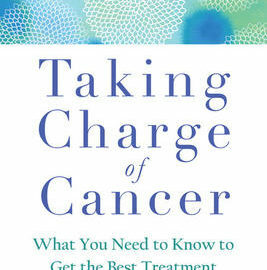 Chapter 2 outlines the basics of cancer treatment. There is a thorough and easy-to-understand description of what cancer is–the different types and how cancer causes problems in the body. 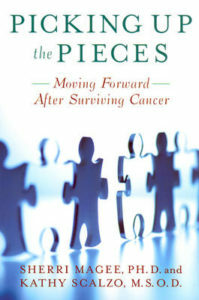 The writer explains how cancer stages are determined and how they relate to treatment plans. He then goes on to talk about the three basic areas of treatment (surgery, radiation and medications) before discussing the outcomes of treatment. Throughout the chapter, definitions for medical terminology are included. From the broad definitions of Chapter 2, Chapters 3 and 4 move the lens to explore your personal situation. As the treatment journey often begins with a first meeting with the specialist, in Chapter 3, Dr. Palma provides lots of information that will enable the patient and family members to make the most of this appointment. Discussed are: things to include when preparing for the meeting, the importance of bringing a support person, and the suggestion of recording your consultation. The book goes on to describe a typical first appointment and what to expect (from the sharing of medical history and current symptoms, to an actual physical exam). The content in Chapter 4 helps you to understand your medical records by providing definitions as well as tools to confirm the information (such as diagnosis, cancer stage and pathology reports). A key component of this chapter is empowering patients to ensure that all needed tests have been completed by providing links to standard treatment/testing protocols. Chapters 5-8 help the reader to understand and evaluate doctors’ recommendations. Information regarding second opinions, research trials, medical bias and weighing the risks and benefits of treatment are provided. The second half of the book (Chapters 9-15) supports patients on how to get the best possible care. 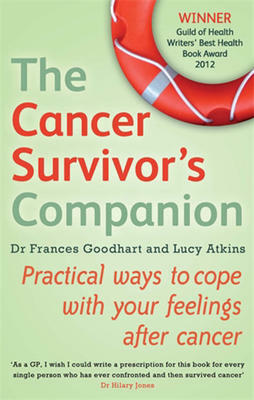 Individual chapters are dedicated to each of the three treatment types–surgery, radiation and medicine (chemotherapy). Chapter 12 contains a detailed discussion about clinical trials. As a therapist, I especially appreciate the discussions in Chapter 13 and 14 regarding life once treatment is completed or if there is no cure. Dr. Palma talks about the mental health components (depression/anxiety/grief) of the cancer journey and the importance mental health plays in wellness and quality of life. Taking Charge of Cancer: What You Need to Know to Get the Best Treatment is a patient-focused resource. Throughout the book there is a sense that the writer wants cancer patients to be able to be fully aware and involved regarding their diagnosis and treatment. This is evidenced not only by the information included in the book, but links to other resources that will provide further information and support. A summary and checklist of questions to ask your medical team are included at the end of each chapter, based on the information presented. At a time when events may be happening quickly, these lists will be valuable. I appreciate the “team” idea that is apparent in this book. Patients and their families are encouraged to ask questions–especially when diagnosis, testing or treatment doesn’t fit with established medical protocols. While a cancer diagnosis is life-changing, there are tools to cope. This book is one of them. Often the greatest wisdom comes from someone who is, or has lived through, a certain experience. When I discovered this “Point of View” article entitled “Grief is a Genesis, Not a Finale” in the May/June 2017 issue of Psychology Today, I knew that I wanted to share it on this site. Below is Ms. Sabbage’s article in its entirety. The author, Sophie Sabbage, continues her journey, and is the author of the book and PT blog The Cancer Whisperer. Before I was diagnosed with incurable cancer at the age of 48, I had passed grief by like a stranger on the street. I had reserved it for death and heartbreak, the shattering losses that bend us double—but not for the regrets, disappointments, and failures that also ask us to grieve. I thought it brought closure, but now I know that grief gives life. The news of my condition unfolded over a six-week period, one tumor at a time. 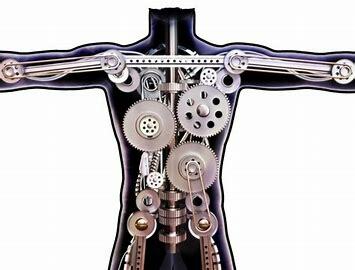 First my lungs; then the lymph nodes in my throat and chest; then my bones—ribs, shoulders, spine. And finally, multiple lesions in my brain. My options seemed extremely limited, but I soon heard about a pioneering oncologist in Mexico who was reversing late-stage cancer and didn’t turn patients down. After emailing him my scan results we clung to this whisper of possibility, waiting for it to mature into certainty. The call didn’t come for two weeks. My husband, John, took it while I was putting our 4-year-old daughter, Gabriella, to bed. I could hear the sound of his voice downstairs, but the words were muffled so I focused on her bedtime story and helping her fall asleep. This involved lying next to her while she snuggled into my armpit and kneed me in the ribs a dozen times before her perpetually moving legs finally gave up the ghost. When she looked up at me and said, “Mummy, my legs won’t let me sleep,” I wondered where they would carry her in the future and if I would be there to see it. I wondered. I yearned. I prayed. John said walking up the stairs that evening was the steepest climb of his life. He had to tell me that the oncologist who doesn’t turn patients down had turned me down; that I was that far gone. Grief didn’t burst its banks when he told me. There was no wailing or gnashing of teeth. Instead it visited us like a living entity and enfolded my whole family in its blanket. John was desolate. It had taken us so many years to find each other and he loves me so much. But his pain distracted me from mine. I could attend to it instead of cratering inside. I could kiss the top of Gabriella’s head, pull my husband onto the bed with us and take what this moment had to offer: the great love we had found, the scale of which could only be matched by the sorrow we felt at the prospect of leaving each other after too short an embrace on Earth; and our high-voltage daughter, who wears her father’s smile as she explodes toward tomorrow and whose legs have a life of their own. Grief became my guest and an almost constant companion. I was letting go of what I had achieved in life (like conceiving Gabriella after being told I couldn’t have children) while lamenting what I hadn’t achieved and wouldn’t: buying a forever home for my family when I could finally afford it; withering with my husband into beneficent old age while our daughter rises into her purpose like a blood-red sun on a black-and-silver sea; writing books. Each day brought another letting go. The vision in my left eye faded. I forgot how to spell simple words and sometimes forgot the words themselves. I closed the consulting business I had spent 20 years building. I stopped driving my car. The large tumor on my vertebra, at the midpoint of my neck, pressed against my spinal column and truncated my countryside walks until I could only putter around the garden. And the day came when I couldn’t pick up my daughter from a standing position—which was almost more than I could bear. With each loss I turned toward grief instead of away from it, and began to discover its true nature. 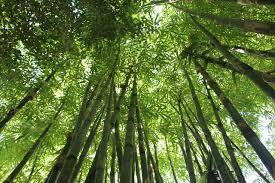 This was partly prompted by discovering that, according to Chinese medicine, grief is held in the lungs. Since I had lung cancer, this begged the question, “What have I not been grieving and why?” I was convinced that cancer is as much an emotional and psychological disease as it is a physical one, so this line of inquiry seemed as essential to my healing as the medical treatments that slowly began to turn things around. My cancer needed me to grieve and I needed cancer to discover my grief. 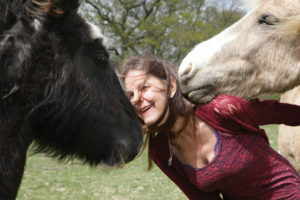 The biggest breakthrough came when I visited a small herd of horses in a field just a few minutes’ walk from my house. 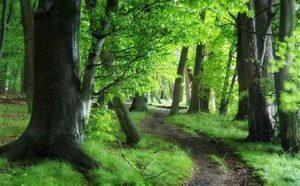 I had grown up with horses in the lush green valleys of South Wales, where galloping into the wind over the vaulted hills was the best way I knew how to silence the incessant inner self-criticism that marked my teenage years. I continued riding as an adult, usually on vacation, and it had remained one of my greatest joys in life. That day, just a few weeks after the Mexican doctor turned me down, the horses walked up and encircled me, like the standing stones of Stonehenge. Initially, I was delighted, but as I stroked their soft necks I realized I would never ride again because my tumor-clad spine couldn’t tolerate any jarring. And thus, in a wet field on a cold winter day, my heart broke like a levee with grief. Far from dragging me down, however, grief raised me up. As it rolled through my cells I felt lighter, freer and literally more able to breathe. My body continued to break down for a while, but my heart’s locked-in hurts began to heal. I was able to forgive those I hadn’t forgiven, from the girl who bullied me in the playground as an 8-year-old to the various sexual assaults I had discounted because I didn’t want to make a fuss. Perhaps more important, I was able to forgive myself. I knew the part I had played in my disease, the ways I had mistreated my body through my youth, the relentless bending my life into an apology for my blessings as well as my flaws. Physically, I could barely turn my head from side to side, but emotionally I was beginning to lift it without shame. There is a “break” in the word breakthrough—something must break for something new to grow. This is what grief does. It broke my denial, restoring me to the stark naked reality of what I was facing and thus to the natural order of things. It offered a bridge from the life I had planned to the life I was actually living. Where fear closed my heart, grief opened it. It drew back the curtain on what I have loved and do love. Because its purpose is to keep love alive. When some of the long-standing friends I had assumed would show up with vegetable casseroles retreated from my imminent demise in awkward silence, I felt hurt and angry. Among these was my best friend for nearly 20 years. We had fallen out nine months before my diagnosis over some differences that had been brewing for some time, but I felt confident that we would resolve them. We had been business partners as well as friends and often taught conflict resolution to our clients. We needed time to lick our mutually inflicted wounds, but we also knew how to heal them. It was what we did. On hearing I had cancer she emailed me to “find solace in one another again,” but I was wary. I was extremely vulnerable at that time and death was stalking me like a permanent shadow. My condition didn’t heal the hurt or diminish the depth of our differences. Nor did I want cancer to become a get-out-of-jail-free clause for the things we both needed to apologize for and forgive. Instead, it called for a deep dialogue and heartfelt reconciliation—or so I thought. She wasn’t up for it. I asked for a meeting to talk through what had happened between us instead of brushing it under the carpet. I said things that were better saved for face-to-face, or not said at all. I was raw as sushi at the time and regret how I handled it, but I don’t regret refusing to gloss over undercurrents of animosity when I most needed to feel safe. She requested that there be “no further communication between us.” And that was that. At the time I didn’t know that this decision would free me to move into a completely new sphere of friendship, vocation, and service—or that gratitude would supersede the pain. I have not forgotten who she was to me and still miss her acutely some days. But I remember her with love, not rancor, because I gave our friendship to the river of grief that has merged with my bloodstream and now flows like oxygen through my beckoning life. Grief released friends who backed away as gratefully as it received the friends I had long since alienated or lost touch with. They reappeared with gentle eyes and ready hands as if the years between were merely parentheses in an unfinished sentence. All of it liberated me to love more honestly. And thanks to grief, the authentic intimacies of my life prevailed. Within three months of medical treatments and emotional healing my life force returned along with my vision and ability to spell. I can pick up my now 6-year-old daughter. I even galloped a dappled grey horse along a Moroccan beach. I wrote a book. I am still living with the death sentence I was given over two years ago, but it keeps the channels of grief open, which rise and fall like a tide, but always deliver me back to the shores of what I cherish most. My greatest wish is for cancer to leave me so I can raise my darling girl until she is self-assured enough to run headlong into her destiny. But I hope grief remains. My love is less without it. Not entirely itself. Grief is the most unlikely gift cancer has conferred on me. It walked me through the fog of my despair into a vast landscape where I could see the heavens overhead and feel the mercies underfoot. Grief freed my spirit before it left my body and, in a very real sense, it raised me from the dead.